Scrap lifting magnets are widely used in quarrying and recycling industries. Used primarily for conveying the scrap, these magnets are recognized for their efficiency and smooth performance. Jupiter Magnetics Private Limited is one of the renowned Scrap Lifting Magnet Manufacturers In Delhi. Backed by the experience of over 5 decades, we can assure you of the highly dependable functioning of these magnets. They are also characterized by excellent workmanship, quality raw materials and long service life. Our team carries rich knowledge and designing prowess to consistently deliver excellent products and our Scrap Metal Lifting Magnets are also a product of that prowess. 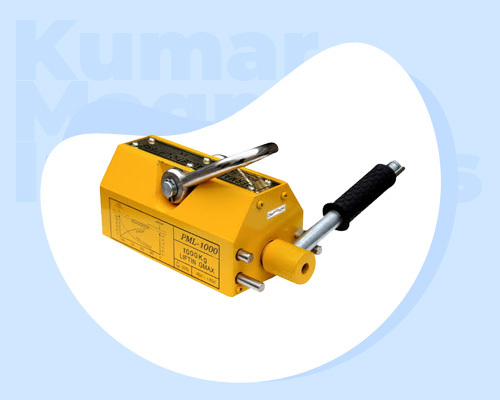 High Capacity - These magnets have a high load-bearing capacity which is extremely beneficial in their application areas like steel mills or scrap yards. No Power Required - There is no requirement of electricity for operating these magnets which makes their performance even better. Wide Applications - These magnets are used widely in different industries ranging from foundries, recycling to ceramic industries. We are one of the firmly established Scrap Handling Magnets Exporters and Suppliers In India. Get in touch with us to discuss your requirements and our experts will guide you accordingly to buy the right product.